This statistic shows annual production value of the manufacture of food products in the Netherlands from 2009 to 2015. 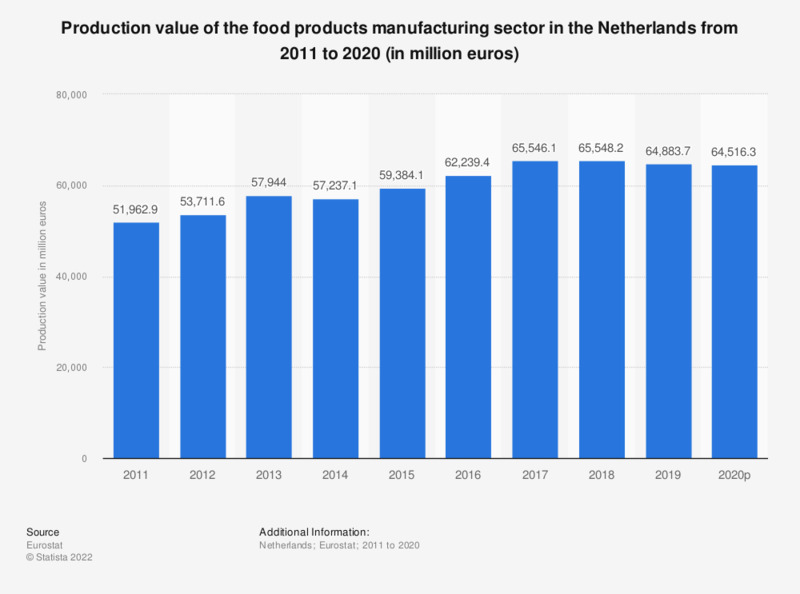 In the Netherlands, the production value of the food products manufacturing sector came to approximately 59.4 billion euros in 2015. The source does not provide data for 2008, listing that year as confidential.